Enterprises rely on hybrid cloud services because it helps them seamlessly transfer and manage their onsite resources as well as offsite data center with maximum security and control while facilitating them to respond to complex business dynamics. Thus, workloads, developments, backups and all such functions can be managed by the IT teams of the firms. However, one of the most critical challenges that the enterprises face is make this entire process a less time-consuming one so that critical business functions don’t get compromised and in all haste, no data is lost or put to a security threat. This challenge is quite overwhelming and many companies just don’t decide on migrating the application because the downtime is too much and they cannot afford to lose that amount of time. Let’s first understand that objective of Zerto. 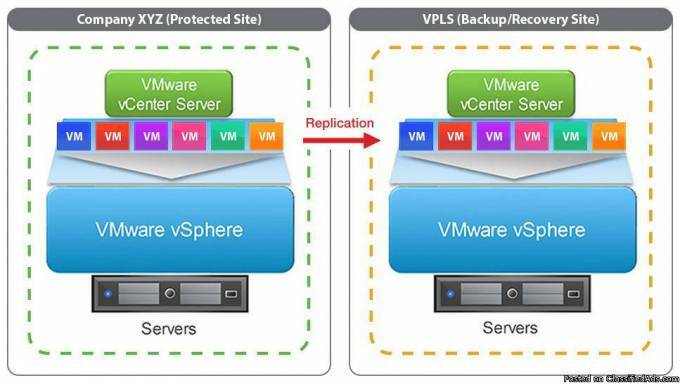 The virtual replication was introduced in the technology world in order to seamlessly and easily migrate the data between the Microsoft Hyper V environments and VMware VSphere. Moreover, it also does the same for Amazon Web Services as well as Microsoft Azure. Thus, its ability to encapsulate the application as well provide migration services in the shortest time possible has helped businesses to not lose their critical business hours as well as leverage the cost saving features that the hybrid cloud offers. Thus, the IT teams of the enterprises are merely left with one main decision to take, which is to decide on the level of service that the business wants and the price package that they would want to avail. The rest of the critical technology functions and cloud replication are later managed by Zerto within no time. A. It replicates data from either Microsoft environments or VMware to either Microsoft Azure or Amazon Web Service. B. It cross-replicates data and applications in Microsoft Hyper V and VMware vSphere environments as well as among them. C. It offers speedy migrations with the minimum downtime completing the whole process within minutes. D. It specializes in encapsulating applications as and when required within or across the hypervisors as well as to the public cloud servicers. E. It doesn’t require any data configuration during the installation in your existing infrastructure. F. Businesses can leverage the storage seamlessly and without any complexity in management. G. It offers a centralized management platform. This means that businesses can manage a range of sites and a range of cloud environments without having to vary about changing their user interfaces and can do it being in a single interface. Migration of data centers across and among private and public cloud environment has become quite seamless with Zerto that has multiple use cases and success stories to take inspiration from. Customers can create Zerto As A Service environments via the integration of Zerto Virtual Replication, storage, and network virtualization.